European Union foreign policy chief Federica Mogherini met Iranian foreign minister Mohammad Javad Zarif in Geneva on Wednesday and reiterated the bloc’s determination to preserve the multilateral nuclear deal, an EU statement said. Mogherini underlined need for continued full and effective implementation of the Iran nuclear deal by all parties, “including the economic benefits arising from it”, it said. 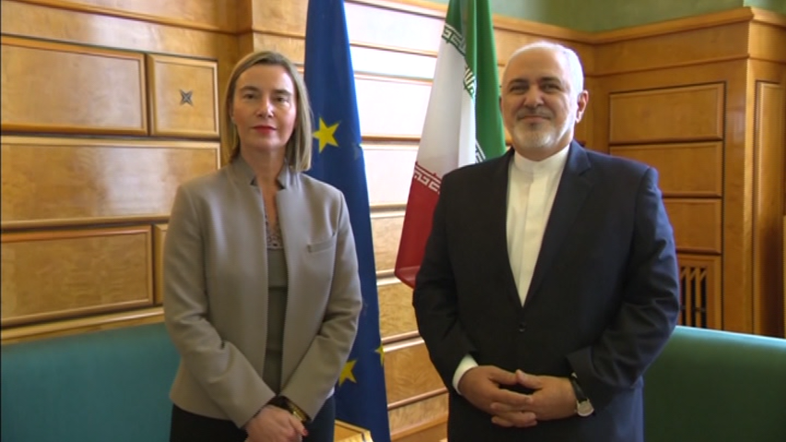 Mogherini and Zarif meeting came on the sidelines of a UN conference on Afghanistan held Wednesday in Geneva. On November 19, British Foreign Secretary Jeremy Hunt arrived in Tehran for the first time since taking office to hold talks with Iranian authorities on issues including the future of the 2015 nuclear deal, Iranian media reported. Last week, an Iranian Revolutionary Guards commander said that US bases in Afghanistan, the UAE and Qatar, and US aircraft carriers in the Gulf were within range of Iranian missiles, as tensions rise between Tehran and Washington, after the later re-imposed sanctions on the Islamic Republic.